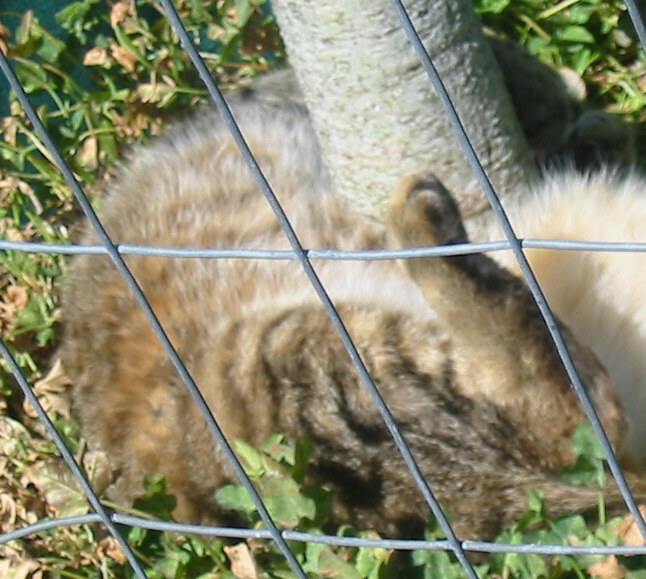 Vinny, our current “top cat”, loves to take mid-morning naps curled around a small tree trunk. Sometimes, he turns over and “curls” the other way. We have had as many as seven cats at the same time. Now, we are down to three: Vinny; his sister, Vicky; and Bill, our oldest. Bill is a retired top cat, and he sleeps a lot. 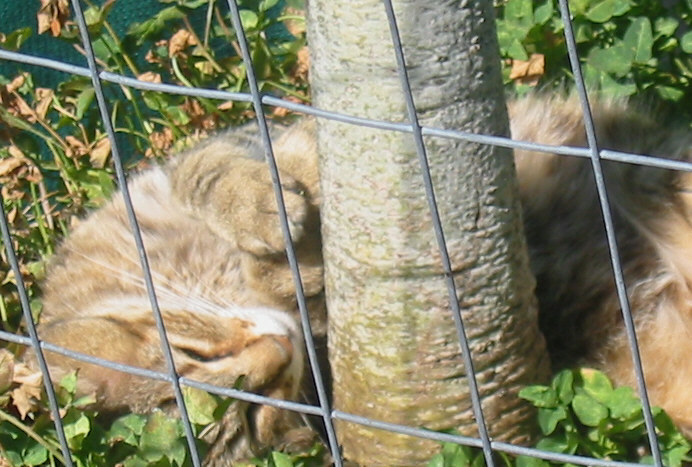 Vinny and Vickie came to us as tiny kittens a few years ago – we found them under a tomato plant in the garden. We have learned that cats have varied, distinctive, and interesting personalities. All tolled, we have shared our home with more than a dozen cats over the past twenty years, or so. All of our cats have been “strays”. They come, and they go. We found homes for some of them, some died from “natural” causes, one died during surgery, two were killed in the street by automobiles, a couple simply disappeared and we don’t know what happened to them. This entry was posted in Pets and tagged Pets, Top Cat. Bookmark the permalink.